The Brand. 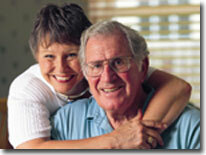 The Right at Home brand signifies our commitment to help all adults, not just seniors. Experience. Established in 1995, Right at Home is one of most experienced home care franchises in the industry, with offices open in 41 states. We've helped over 150 franchisees open their Right at Home business and provide valuable services to their local communities. Broad range of services. We offer both medical and non-medical services as part of the Right at Home business model. We specialize in working with people without healthcare experience. Within our network you will find franchisees with backgrounds in business, real estate, hotel management, event planning, engineering, printing, chemistry, automotive, human resources, law enforcement, and accounting, to name a few. With operations in 41 states, the Right at Home business model has been proven to be successful, over and over again. By utilizing the proven Right at Home systems, including our Right Start Program, most of our franchisees are open for business within 60-90 days after signing with us. Superior training program. The second phase of our comprehensive training and support program is our initial training class. It lasts a full 2 weeks, twice what some others in the industry offer. We feel this time is necessary in order to get you started off on the right foot. Exceptional Performance. We provide a thorough financial performance representation to each qualified applicant to the Right at Home franchise program. We do this because it reflects the culture of our company - if we are forthright with you from the very beginning, we know that our relationship with you will be stronger as a result. Franchising since 2000 - currently 155 franchises strong. The Right at Home franchise system creates the opportunity for its members to capitalize on not one, but two business opportunities that will flow from the senior-care boom. The first is the fast-growing demand for safe, well-managed, in-home care and assistance for seniors. These are individuals who don't need a nursing home but need assistance with the everyday activities of living. The second emanates from the demand for good, temporary workers to assist in care provided outside of the home – in hospitals, nursing homes, clinics, doctor's offices and urgent care centers. The Right at Home system's innovative programs, training and procedures provide you with the means to aid you in efficiently and effectively serving these two markets using the same office staff! You have access to two great markets, are better diversified, and you use your overhead in a very efficient manner. And you don't have to have a medical background. We give you the tools and knowledge to assist in growing and managing your business. You bring the desire, the talent and the ability to work and communicate well with people to make it happen. Once in a while, extraordinary opportunities present themselves. Forty years ago, early entrants into the franchised fast food industry enjoyed the huge growth enjoyed by that industry. Since that time, similar stories have been told in other industries-- home and industrial cleaning, quick oil and lube, yard care, hair and beauty care and more-- whose early entrants saw and took the opportunity to get in on the ground floor and reap the benefits. The Right at Home system's innovative programs, training and procedures provide you with the means to aid you in efficiently and effectively serving these two markets using the same office staff! You have access to two great markets, are better diversified, and you use your overhead in a very efficient manner. And you don't have to have a medical background. We give you the tools and knowledge to assist in growing and managing your business. You bring the desire, the talent and the ability to work and communicate well with people to make it happen. We believe that making a difference in the lives you touch is as important as growing and building your own business. As a Right at Home franchisee, you'll have the deep satisfaction of knowing you are providing a vital service to our nation's seniors. Furthermore, you'll take great pride in providing meaningful employment to others while enjoying a meaningful career. Right at Home's advantages provide a broader based, higher quality service and offers franchise owners the opportunity for a better supported, better business. You don't have to have a medical background. We have the tools and knowledge to assist in growing your business. You bring the desire, the talent, and the ability to relate well with people. Click on Request Information button above for FREE information on how to start a Right At Home franchise today! Please Note: Right At Home franchises for sale, and other franchise opportunities, business opportunities, businesses and franchises for sale on this web site are not to be considered as an "offering", "franchise offering", suggestion or recommendation by GlobalBX. The franchises, businesses and business brokers seen on this web site submit their own individual content. This advertisement depends entirely on the truthfulness of the information provided by our advertisers which includes, but is not limited to, franchisers, franchises, franchise brokers, franchise consultants, business sellers and business brokers. As always, GlobalBX recommends that you consult a lawyer, financial consultant, accountant or professional advisor before buying a franchise or business opportunity or any type of business. By submitting this form and requesting more information, you have agreed to all terms and policies of GlobalBX and the business and franchise offerings listed here. Please review our Terms & Conditions for more information.